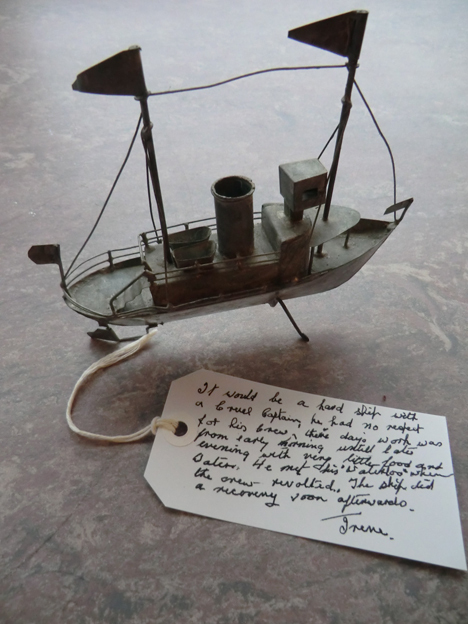 In the course of our Oldham project 'making memories' we are trying to find ways that we can intensify and find meaning in memories, using objects. 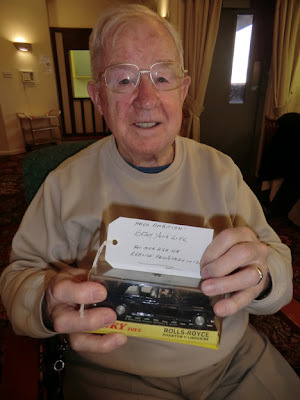 Phil introduces his toy dinky Rolls Royce, explains his history with the item as it goes round; smiles all round as he explains the frustration he felt as a child having to keep it in the box. It's carefully handled by the group, Doreen shares memories of dinky cars her sons played with. Phil asks 'Did you have a special toy? Conversation flows between members of the group, sometimes directed straight to Phil. Doreen keeps spying the other objects in the bag, curious to see them, prompting me to get them out. 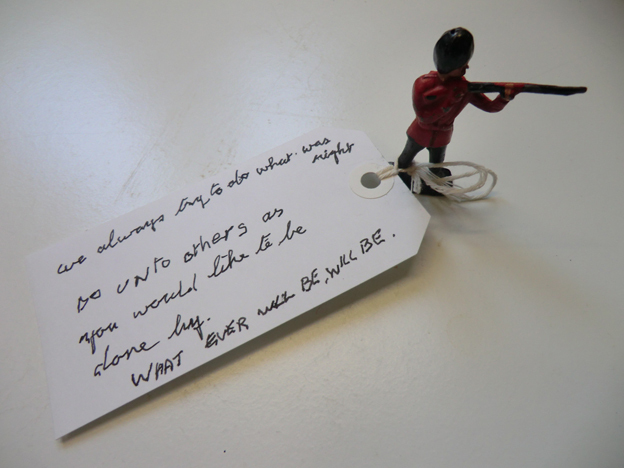 Walter takes hold of the lead toy soldier with real delight and an animated face. The conversations inspired by each other seem as lively as those inspired by the objects, especially so when a subject everyone has an opinion about - such as how to punish children! This became particularly animated and passionate. Good to have some objects to show with an element of mystery , the small dog on a marble base produced a range of ideas for its use... Paper weight, box lid, or simply a decoration. I would like to see space within these memory boxes for mystery objects, ones that provoke imagination and play - where everyone is on the same footing, staff and participant. Labelling: the group got on with writing labels without questions, we didn't go into detail as to the reason why we were writing on the labels. There is an ease amongst the group, perhaps due to the relationship built over the previous sessions, perhaps the enjoyment of the conversations before the writing exercise. V was the only one who struggled, it was her first time with the group, she seemed confused at times. She would have benefited from one to one attention throughout the session. 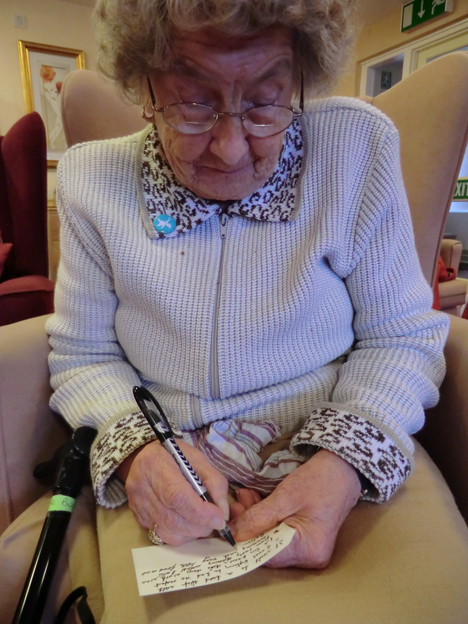 Doreen, Yvette, Eunice, and Reet understood and savoured the extra dimension and depth the labels gave to the objects. Everyone agreed that it was useful to pass on a message. 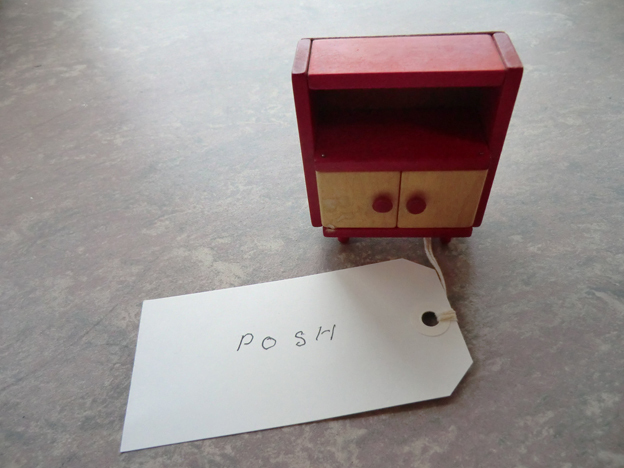 That they would all be curious to see a label attached, that it would impact on the object, 'It becomes a story'. 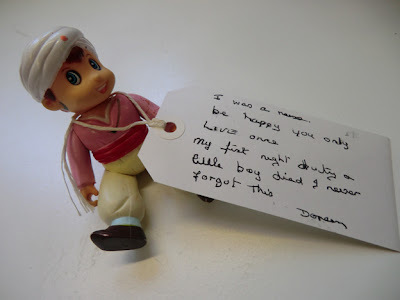 in Doreen's case the labeled doll became a story of life and death. The various objects passed round focus attention; people speak about the object, which in turn inspires more conversation, drifting and at time leaping between topics. Reet: I love it coming here, I'm so pleased that you're carrying on. I shouted yes! When I heard it was going to carry on. 1. Do you have a childhood object or toy or memory that is your most important. 2. What conclusion have you drawn from life? Or did someone ev give you a good piece of advice. 3. What is the link between the answers to these two questions?